Go to the Controls-Participants Menu. 1. Run the Enter New Career function. Make sure to enter the league name exactly as it appears = 00856001. 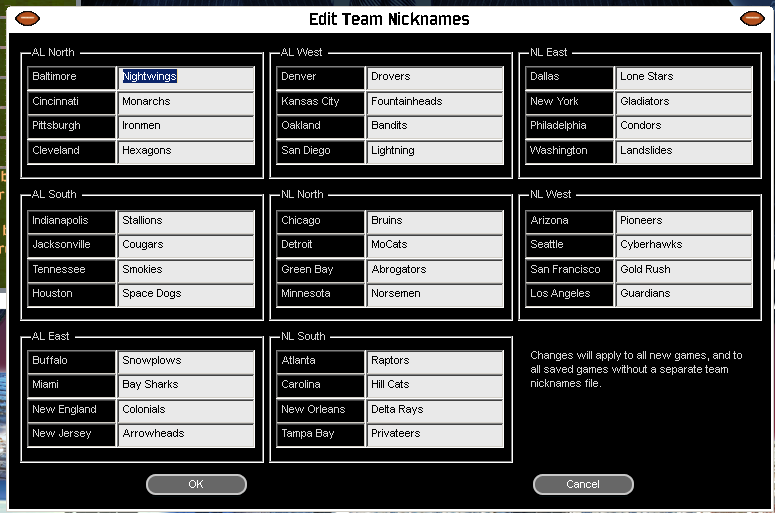 Remind participants which team they need to select (this will be based on the default team names, not the names as they appear in your league). 2. Run the Import Game Files function. This will open the game. You will need your team password. **You don't need to enter a "Base Directory." 3. Run the Import Configuration function. This will grab the city names and nicknames. 4. Run the Restore Career function. This may take a long time. Save the game. ** PM me if you need your team password.